If you'd rather watch a video then read a manual, see below! To do this, contact web services at webmaster@okcu.edu. 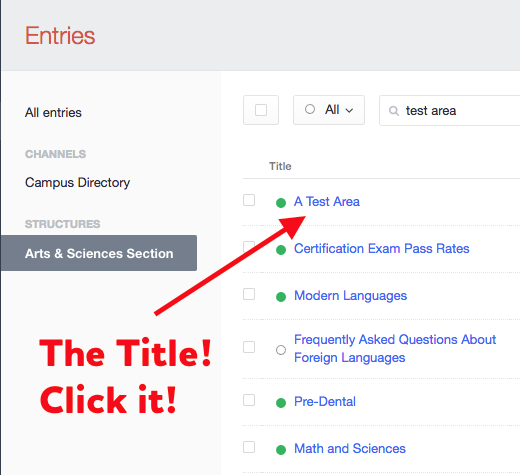 Be sure to let us know which area/s of the site you’ll need access to — if you’re not sure, just copy and paste the URL of the pages you want to edit into your email to us. We’ll email you a link to create your account and set up your password. 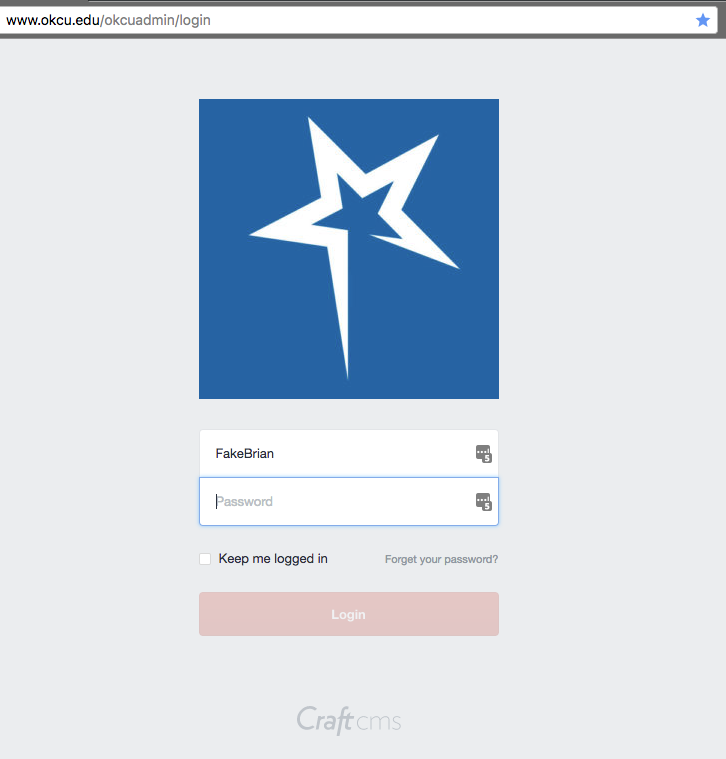 Visit www.okcu.edu/okcuadmin/login, and sign into Craft using your email address and the password you’ve just created. Once you’re logged in, you’ll see the workspace on the right and a navigation column on the left. Note that Craft is Responsive, which means its layout adjusts to the size of the screen you’re working on. (Yes, this does mean you can make edits on your phone if you really want to.) If your browser window isn’t very big, the left column will hide automatically. 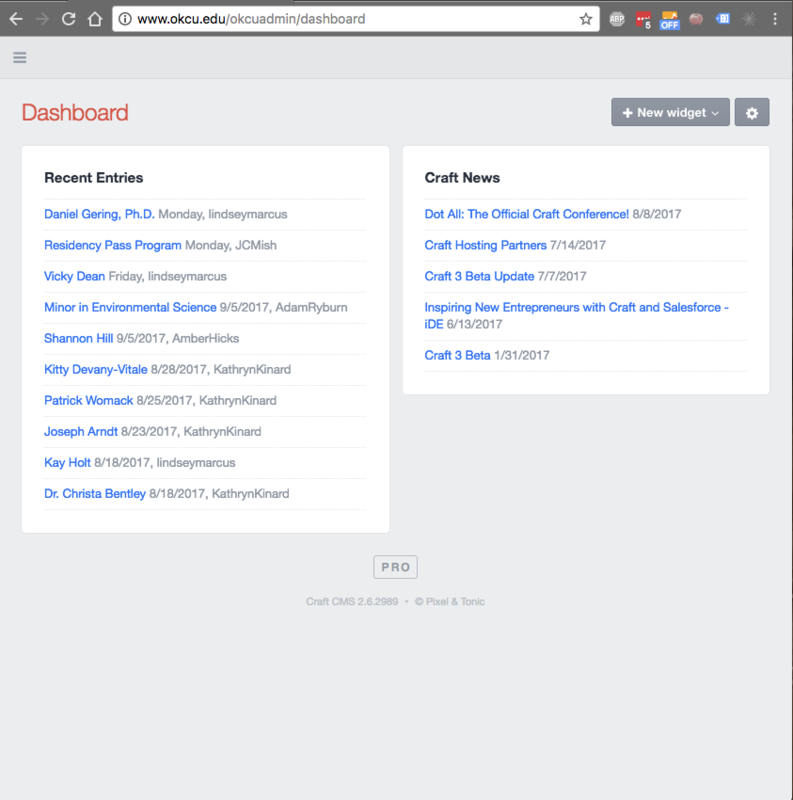 In the left column you’ll see links to Dashboard, Entries, and Assets. The Dashboard (above) gives you a general overview of things, but nothing specific enough to be useful. 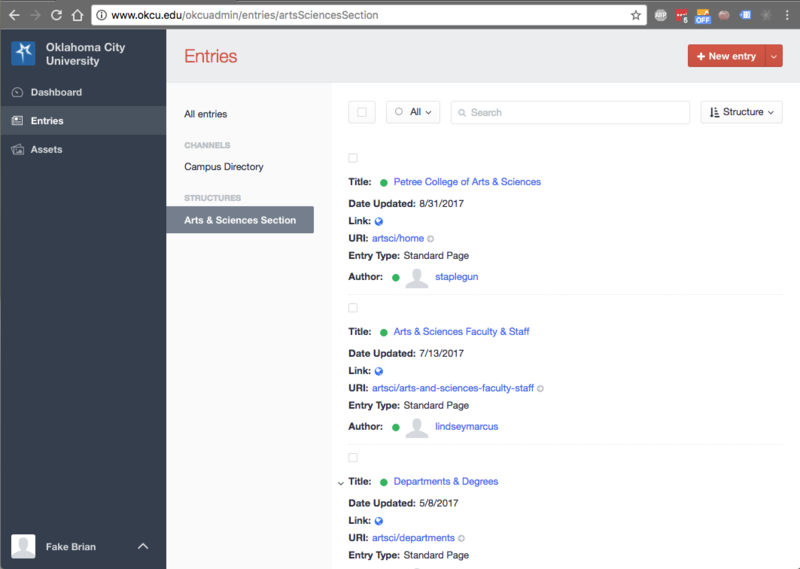 Clicking Entries will cause a second column to show, where you’ll see sections of the site that you’re allowed to edit. The right-hand column will show the pages in your section laid out in a folder structure, sort of like the one you’ll see in the file browser in Windows or Mac OS. This area also responds to how large your browser window is. 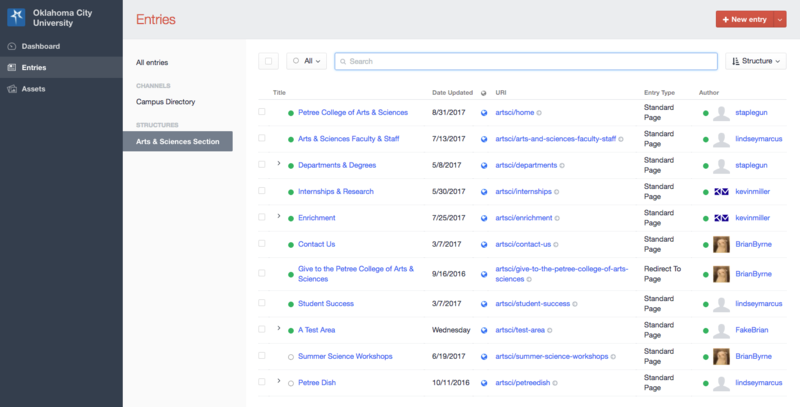 In areas where the folders go deeper—here, for example, we’ve got Departments > Chemistry > Degrees & Curriculum—the right column’s width may adjust to fit all those pages in horizontally, which can mean you get a display that’s a little bit cramped. The good news is, Craft’s search function works really well, and you can use it to find the page you’re looking for too. (Remember to use whole words.) So “Chemistry Degrees” narrows things down a lot here, for example. Please note that if you use the search function, then clear the results, the folder structure arrangement no longer shows. If you want to change this, use the sort button at the top right — if you choose “Structure,” it’ll show the pages according to how they appear on the site, like they did before. Once you’ve found the page you want to edit, click on its title to open it for editing. And that's it! Next you'll probably want to learn how to make basic edits to a page. We've got instructions for that too! Here's a video of this tutorial if that's what you'd prefer.